Tamilee earned a Bachelor of Arts degree in Physical Education and a Master of Arts degree in Exercise Science both attained at California State University, Chico. Millions of fans worldwide have long admired Tamilee's no-nonsense approach to mind, body, health and fitness that can be achieved within the home. Her energy, exuberance and specially designed proven weight loss workout programs have consistently elevated her to the top of the Billboard charts. Her four best-selling books "The Original Rubber Band Workout" (sold in six countries and translated into five languages), "Step-up Fitness", both published by Workman Publishers, third book, "Workout for Dummies" (IDG Books), and her newest book "Defy Gravity Workout" have contributed to the renown that she has so deservedly earned. 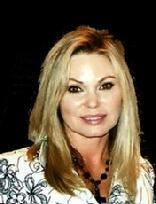 Tamilee has been a co-host on the Health Network Channel's aerobic fitness shows now known as Discoveries "Fit TV." She has also hosted ESPN's Fitness Pro Series, and consulted on Fox Sports Fitness show "Body Squad." She is best known for her Buns of Steel series that has sold more than 10 million copies. Tamilee's knowledge and acquired experience, combined with her contagious energy, and effervescent personality, have made her an ideal guest speaker.